I love the night sky. Even on the coldest night, if the sky is clear, I slow down or even stop to gaze up at the stars. Right now the sky is hidden behind the clouds of the first storm of 2015, but I’m hoping that those clouds will disappear at least long enough to provide a glimpse of the moon. Because tonight the first full moon of the year will rise—the Wolf Moon. The Wolf Moon has other names. To the Celtics, it is the Quiet Moon, symbolizing a time to stay home. The colonial Americans referred to it as the Winter Moon. To the Neo Pagans it is the Ice Moon. The Native Americans have many names for it: the Cold Moon, the Cooking Moon, the Hunger Moon, or Moon of the Terrible. But the Wolf Moon is its most common name. It’s winter and the ground is hidden beneath a blanket of snow. Burrowed beneath the blanket, many creatures are nestled in their dens for the winter’s slumber. But the wolf is not sleeping. He is hunting. His food is scarce and the darkness brings with it the end of another day of hunger. He raises his voice and howls at the rising moon. And then he stops. The wind has carried a new scent to his nose. The scent of food…and man. He fears the man, but his hunger is greater than his fear. 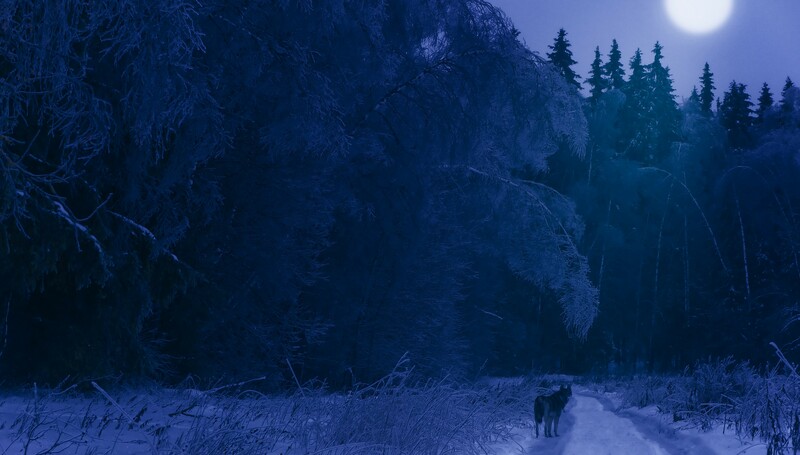 The Wolf Moon lights his path as he follows the scent to the village. Here the man-smell is stronger. Firelight flickers within their dwellings. But the savory smell of livestock draws him closer to the village. He slinks into the shadows and strikes in silence, then slips away with his prey. 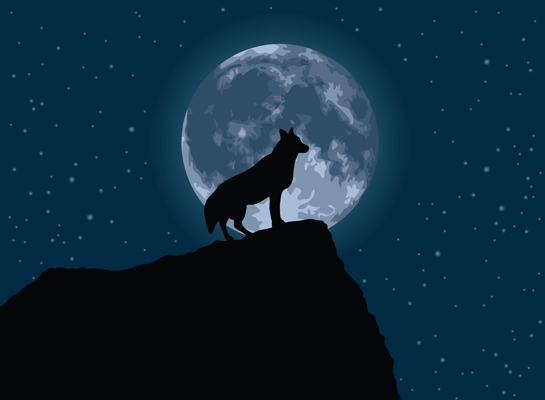 Once his hunger is satisfied, he looks up at the sky and howls his thanks to the Wolf Moon. Tonight when I gaze into the night sky, I will join the wolves in their howls to the Wolf Moon. And maybe the wind will carry the scent of inspiration to me and satisfy my hunger to write. Thanks a bunch! Im glad you enjoyed it! Very well done Teri! I can’t wait for the next! I loved this.. Got my attention, and I learned a lot. Great pics to go with the writing… Very well done… Give me, us, “More”.